This Friday the South library will be the host of an Hour of Code event during Academic Lab. 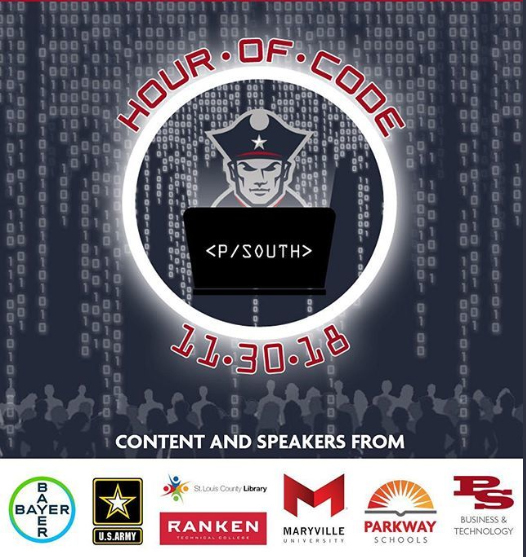 The Hour of Code is an event where multiple speakers from different backgrounds including Maryville University, Bayer and the Army come to talk about the importance of coding and getting involved with the computer science field. Two statistics Hour of Code hosts are promoting is that people with a computer science degree make 40 percent more after graduation than the college average, and that computing jobs have become the number one new wage source in the United States. Computer Science teacher John Heath said coding is a valuable skill for students at Parkway South to learn. “Coding to me is problem solving or computational thinking. And in a world that is ever changing especially with technology, it’s important for students to be able to have a way to solve problems,” he said. Librarian Rebecca Neil agrees with Heath’s statement that the value of coding comes from its impact on society. “I believe coding is valuable because I think that coding has weaved its way through every area of society. There isn’t a single job that doesn’t use coding in some capacity,” said Neil. Senior Michelle Casting said she will be attending the event. 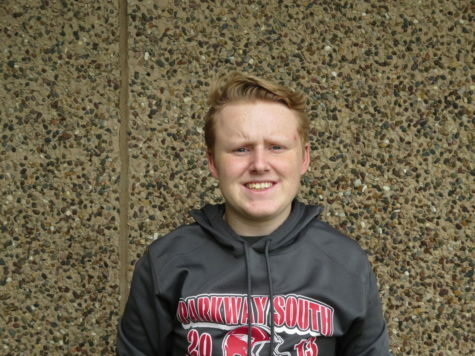 In terms of speaker Hour of Code has multiple coming from all kinds of fields, but Parkway South alumnus Ian Cunningham has interested some of the people at South. He will be one of the speakers at this year’s event. “He got a job at Monsanto after starting his launch code for research and development. He’s going to be speaking about his awesome ideas for coding and the future of coding,” said Neil. Casting said she is looking forward to hearing Cunningham speak. “I think this year is going to be more complex because he [Ian Cunningham] has already spoken once before so I think he’s gonna show how coding can be used in many different ways,” said Casting. Heath said he is also excited to see Cunningham. “Ian Cunningham is going to come here and talk about Artificial Intelligence, and share his passion for coding and how important it is,” said Heath. More information on Hour of Code can be found on tinyurl.com/psouthcodes. Students can sign up to attend the event at that website or through a link on Infinite Campus.